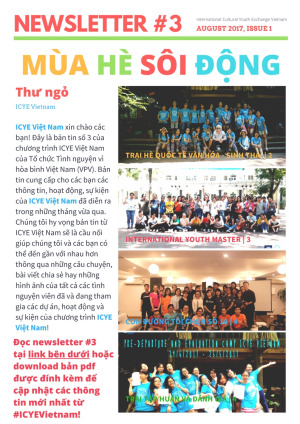 Last weekend (17th to 19th of November), ICYE hosted a Winter-camp in Thai Hai Village. 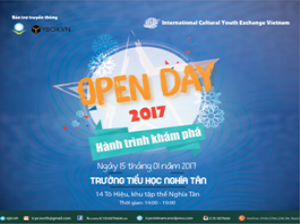 Vietnamese youngsters and International Volunteers participated in different activities such as games, culture explore/exchange, and soft skills training. On Friday evening, the participants discovered their accommodation (stilt house) and play some icebreaking games to learn more about each others as well as discovering their secret friend. During the all weekend, everyone had to write letters to their secret friend to encourage them to develop their skills and have fun. The afternoon was all about reflection : the participants learned about the different concepts like the iceberg of culture, the clock of stereotypes, … Then, they got time to discuss these topics and shared their thoughts and viewpoints on each topic. 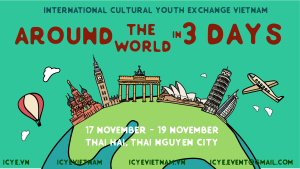 The reflection time also included a segment on plastic and garbage solutions in various countries : the International Volunteers (Austria, Canada, France and Germany) as well as the Vietnamese participants shared their countries solutions on garbage handling. The second part focused on games around the campfire : the three teams took part in multiple challenges : guess the song, telephone, "who am I?" Each team won a game and got candies as a reward! The last part was both karaoke and dancing, everyone had some more fun before closing the night! Sunday was unfortunately the last day of the camp but not the least fun : the participants competed during the Amazing Race! This contest included general knowledge, problem solving and games (spider net, minefield and cross the river) : each team did their best both in the race and the side challenges. Finally before closing the camp, it was time for one last reflection moment about this weekend : each participant share their thoughts about it and their last word to their secret friend. In the end, everyone had a good time and the group really got to bond together.